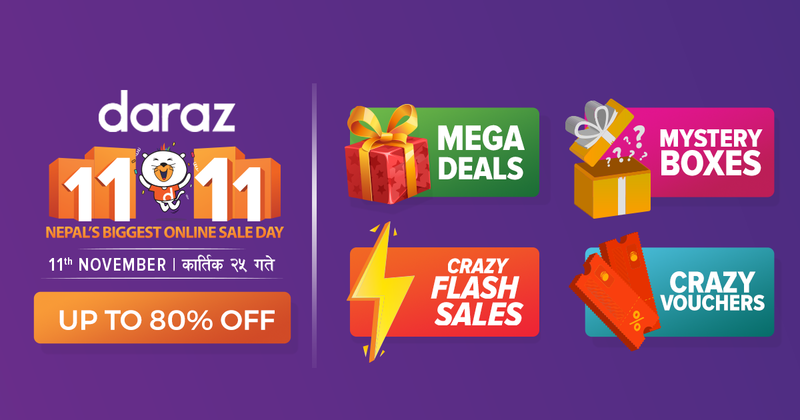 For all the good reasons, you might have heard of the 11.11 sale by Daraz, where you can get millions of products at a discounted price of up to 80%. What’s so exciting about the 11.11 sale then? 11.11 brings you deals and discounts on every single item that you see on the shelf, be it clothing or be it electronics or anything else. But that’s not why you are here for, are you? Talking about the stuff that might interest you, let’s talk about the phones that will make their debut in the Nepali smartphone market. The most talked POCOPHONE F1, the OnePlus 6T and the world’s first quad camera smartphone, the all-new Samsung Galaxy A9 are the phones you might fancy and the fact that all these smartphones will be on sale at an unmatched price makes smartphone shopping on the 11.11 sale a no-brainer. Starting off with the quad-camera smartphone, the Samsung Galaxy A9. 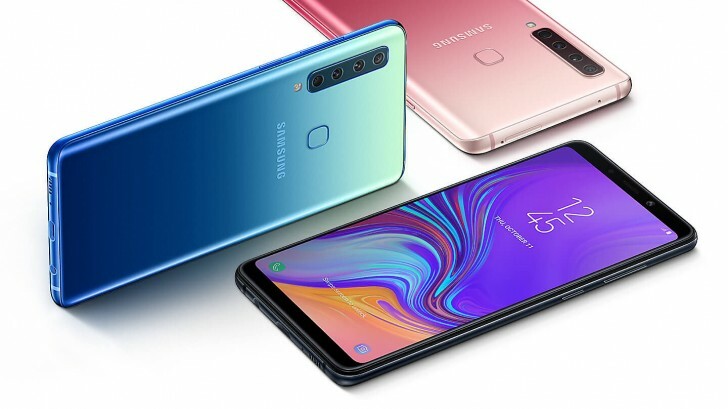 The Galaxy A9 happens to be the first ever smartphone to boast a quad camera setup to the back which also happens to be the USP (Unique Selling Point) of the device. For the basics, the A9 offers a glass sandwich design which means 2.5D curved glass to the front and the back. On the front, the Galaxy A9 rocks a 6.3-inch inch super AMOLED display without any notch (cheers to that) with an FHD+ or 2220x1080p resolution and an 18.5:9 tall aspect ratio. The device is powered by the Snapdragon 660 octa-core SoC and the 3800 mAh battery runs the show. The device charges over USB type-C and it also supports Bluetooth 5.0. With all that out of the way, let’s talk about the cameras on this one. This one boasts a vertically aligned quad camera setup to the back and this is where things get interesting. This monstrous cluster of cameras include a 24MP primary or main (RGB) camera with f/1.7 aperture, followed by an 8MP 12mm ultrawide sensor with f/2.4 aperture that gives it a whopping 120 degrees field of view, joining in is the third 10MP f/2.4 telephoto lens to give you that 2x optical zoom, and at last there’s inclusion of a 5MP f/2.2 depth sensor. All these sensors combined means that this is going to be one hell of a camera beast and this might actually be the versatile snapper you want to carry (stay tuned for our full review). On papers, the cameras seem to be interesting and to say the least, I’m already intrigued. The device will be available for pre-booking on the Daraz 11.11 sale at a price of NRs. 54,999 just for the day while the normal pricing is supposed to be NRs. 69,990 (P.S. another reason you shouldn’t miss the 11.11 sale). All this at a price of just NRs. 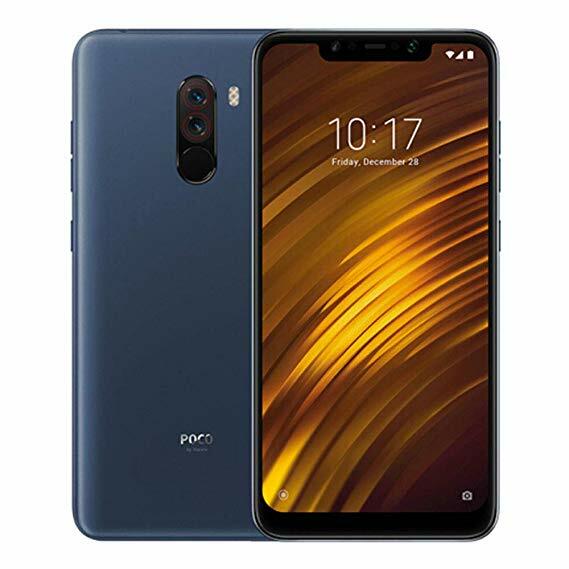 33,999 which makes it the best value for money smartphone that you can buy, only on the 11th of November on the 11.11 sale exclusively on Daraz, after that, the prices are supposed to go up to NRs. 37,999. Last but not least, the all-new OnePlus 6T. 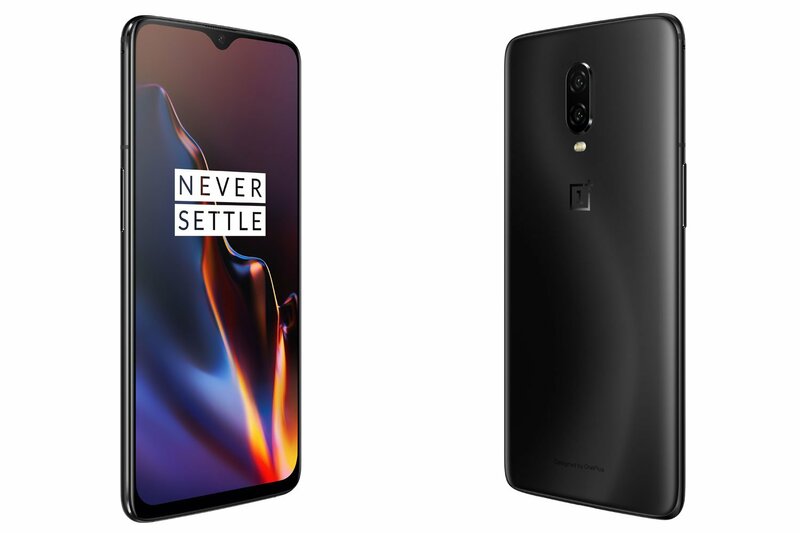 The OnePlus 6T, the newest member to the OnePlus family houses a 6.41-inch AMOLED display on the front with a teardrop notch which means a screen to body ratio of 85.6% and with 2340 x 1080 pixel or FHD+ resolution and five different modes to meet your color calibration needs. The AMOLED panel houses the under-display fingerprint scanner. It has a glass sandwich design i.e. the front glass being Corning Gorilla Glass 6, and the back Corning Gorilla Glass 5 are held together by the aluminum frame. It is powered by the Snapdragon 845 and sees a battery bump over its predecessor and is rated to be 3700mAh. The device runs on Oxygen OS 9.0.5 built on top of Android 9.0 Pie. The base model now starts with 128GB of onboard storage coupled with 6GB of RAM. For cameras, this one houses the same 16MP+20MP dual camera setup with OIS+EIS like its predecessor. This time around, OnePlus has introduced nightscape which takes a long exposure shot at 2 seconds to enhance low light photography. It has a 16MP front-facing the camera with f/2.0 aperture to meet your selfie needs. The OnePlus 6T is to be made available on the Daraz 11.11 sale at a price of NRs.69,999, with the normal pricing after the sale being NRs. 75,999. So what are you waiting for? If you have been waiting to get yourself a new smartphone, things can’t get better than the 11.11 Sale. 11.11 is the single’s day and celebrate it by showing love to yourself. Shop all you want at the best price possible only on Daraz. Remember 11.11 is the day (11th of November).